On 2nd October at Nepal-Bharat Library, the Embassy of India and BP Koirala India-Nepal Foundation celebrated Gandhi Jayanti. Rt. Hon’ble Former Prime Minister Lokendra Bahadur Chand launched the Nepali edition of the Gandhi’s autobiography “The story of My Experiments With Thruth” translated by Shri Shekhar Giri and published by Shivalik Prakashan. 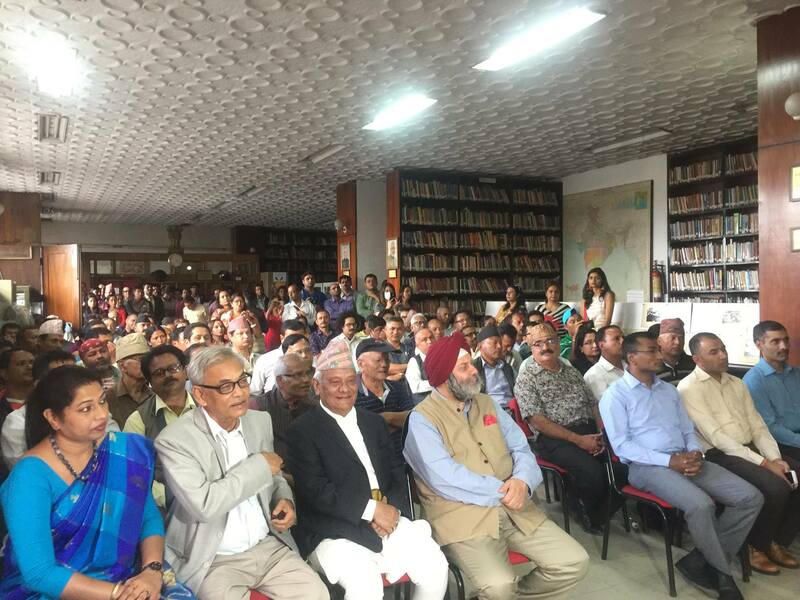 The release program was attended by more than 150 Nepalese writers, artists, intellectuals and media persons. In his address at the program, former PM Chand spoke about the role of Mahatma Gandhi in the freedom struggle of India. Further, Shri Chand also spoke at the program on the contributions of Mahatma Gandhi and called him an icon of world peace. 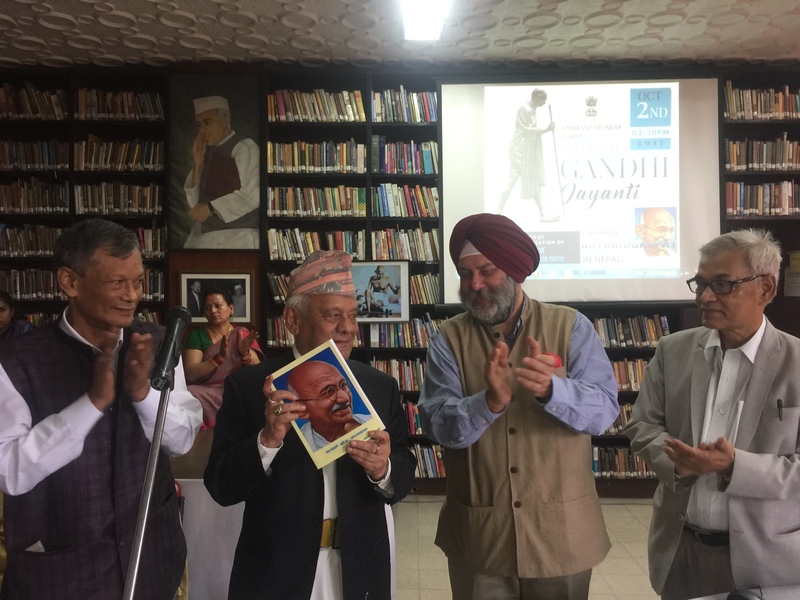 Lawmaker and renowned Gandhian, Shri Pradeep Giri and Ambassador of India to Nepal, Shri Manjeev Singh Puri, jointly released the book along with Former PM Chand. Speaking at the programme, Shri Giri stressed on how the principle of ahimsa had the power to bring stability in administration and society of a country. Ambassador Puri spoke about the relevance of Mahatma Gandhi’s teachings to modern day world also. 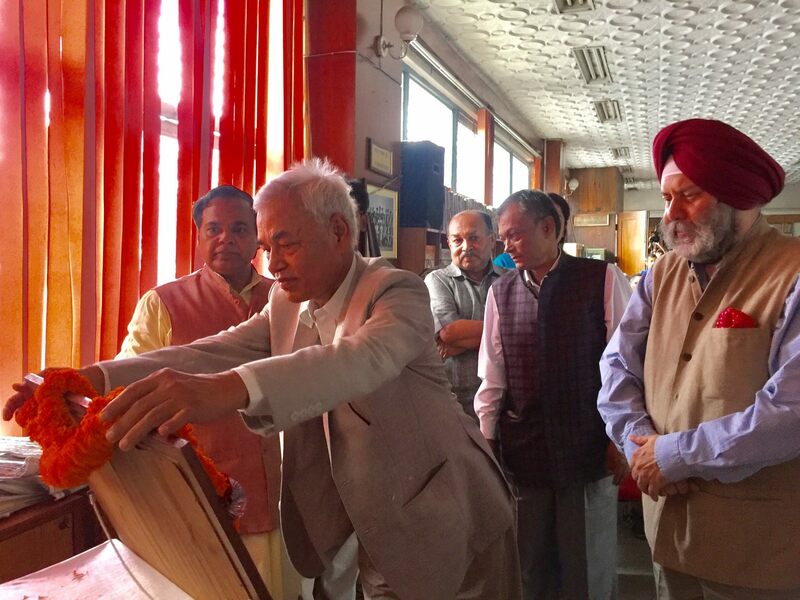 Ambassador Puri commended Vice-President of Nepal-India Friendship Association Shri Shekhar Giri for his immense labor for the translation of the iconic autobiography of Mahatma Gandhi. Also displayed at the program was a photographic exhibition of some rare photographs from the life of Mahatma Gandhi. A documentary on life of Mahatama Gandhi was shown at the occasion too. 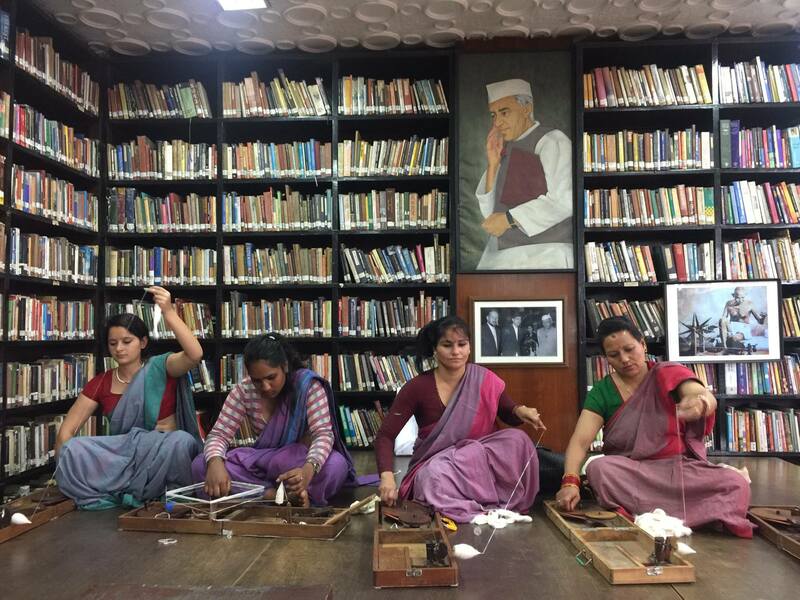 The members of Kalaguthi and students of famous Gandhian of Nepal late Shri Tulasi Mehar, demonstrated process of producing fabrics from ‘Charkha’ on the occassion. Likewise, the books related to Gandhiji were also showcased on the occasion. Dedicated follower of Gandhiji Smt. Uma Jee sang the famous hymn of Gandhiji titled ‘Baishanab Jan to tene kahiye jo peer parai jane re’ on the occasion.